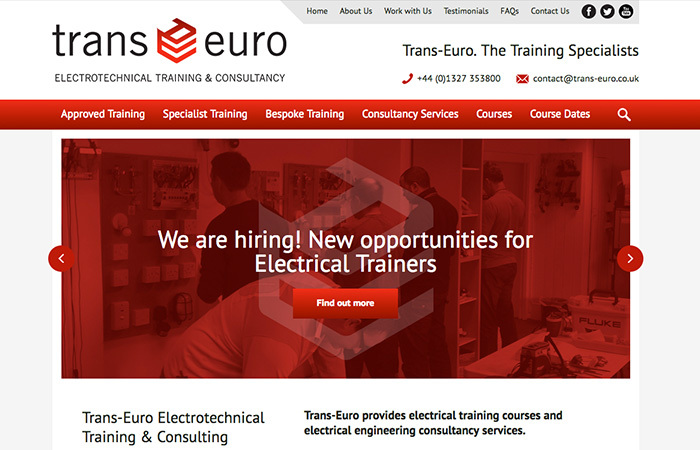 Trans-Euro are an electrotechnical training and consultancy company, based in Towcester, Northamptonshire. They needed a website redesign to give it a more modern and professional feel, and something which would better promote their services. The website is fully mobile responsive and enables visitors to book places on their courses, via an integration with their course management software. As a follow-up project, I also created a similar redesign for their sister company, PEML.